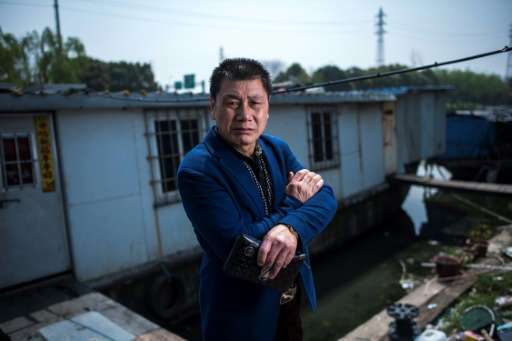 Li Chaoqing fled his poverty-stricken Chinese hometown at age 14 for a new life in Shanghai, where he raised five children in a disused old boat on a polluted river. 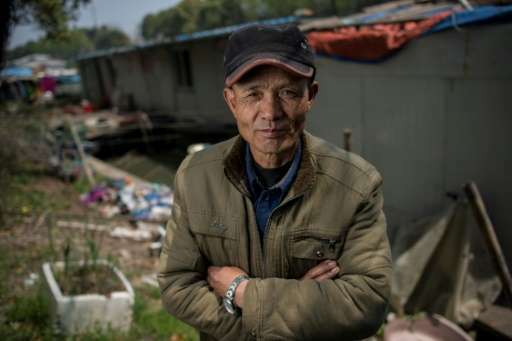 But Li, now a 53-year-old garbage collector, faces eviction along with about 200 other squatters living in decaying vessels on the Xinchapu River as officials push a river clean-up campaign. China's financial heart has long been a magnet for poor rural Chinese who toil on the margins of the sprawling city of 24 million. 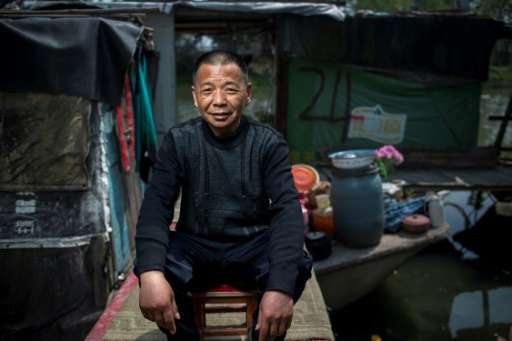 Li's home for two decades has been a 30-metre-long vessel, one of many de-commissioned fishing and cargo boats along the river, now occupied by people who work menial jobs like his. Many managed to scrape up enough money over the years to buy their boats for around 20,000 yuan ($2,900). Li's boat lies on a bank near a garbage-strewn graveyard roamed by the boat-dwellers' chickens and geese. A noisy highway rumbles nearby. But inside there are touches of home – fish tanks, bunk beds, a stereo and a meal set out on table. 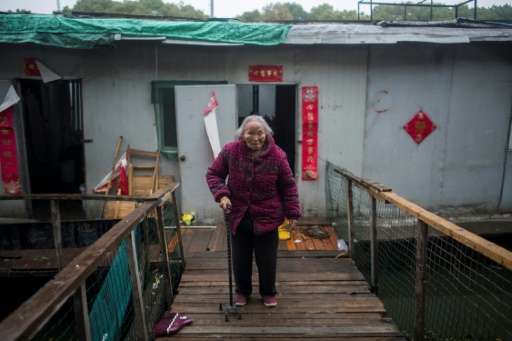 "We have worked very hard to live a better life, and bought a boat," said Li. "I've put a lot of effort into it. I can't afford to buy a house. Shanghai's homes are too expensive. So I try to decorate my ship as best I can." Li, from eastern Jiangsu province, makes just over 2,000 yuan per month clearing trash from the river. New home prices in Shanghai, however, average more than 50,000 yuan per square metre, according to official figures, while monthly rent for the smallest homes tops 3,000 yuan. 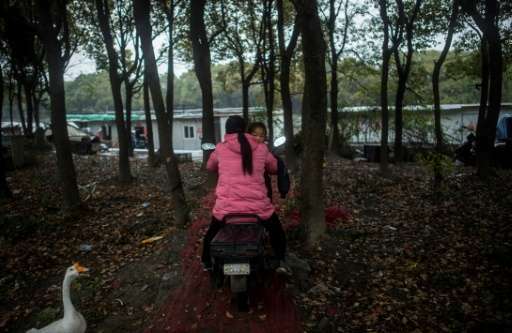 Li's family is among hundreds of millions of rural migrants who have moved to booming urban areas since China began economic reforms in the late 1970s. 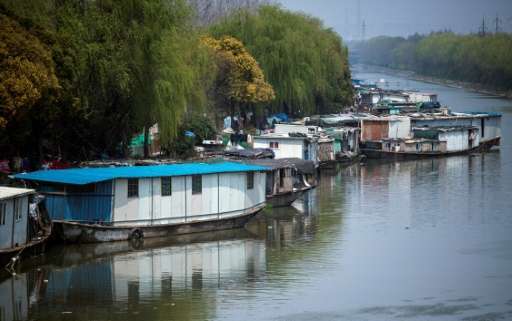 Shanghai's government plans a sorely needed clean-up of nearly 500 small and medium-sized waterways in and around the city, part of a nationwide anti-pollution drive. Officials have faulted the Xinchapu river-dwellers for discharging raw sewage into the water, raising fowl on the riverbanks and building illegal structures. 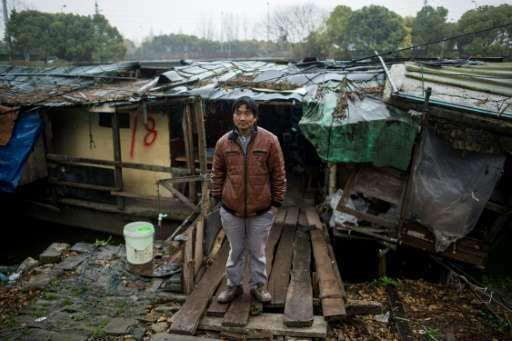 They have been told to clear out by mid-April but Li and his family refuse to go until they receive more than the roughly 3,000 yuan compensation being offered per boat. "Everything we earned our whole life is here. This boat is all the fortune we have. This is our home. How can I just throw away my home for nothing?" said Li's wife, who declined to give her name. Another boat-dweller, Feng Yuemei, 40, said she feared for the future. "If we had money we would definitely buy a house. We wouldn't suffer like this on a boat. Only god knows what kind of lives we have here," she said.